As we get older, our values change. When we’re young and carefree, we may look for a home that’s close to bustling city centers, convenient public transportation, and exciting nightlife. Adding a spouse and children to your life will vastly change what you look for in a home. There is no perfect way to define a “family-friendly neighborhood,” but there are a few factors that most of us can agree on: low crime, good schools, and plenty of other families around. Throw in some parks and some all-ages entertainment options and you have the makings of a family-friendly neighborhood. Here are a few of the top Denver neighborhoods for families. This neighborhood was planned and built with families and children in mind. In addition to great schools, you’ll also find more than 35 parks within the confines of Stapleton. There is no shortage of safe, open green space for kids to run around and play in. If one of the hallmarks of a family-friendly neighborhood is a tight knit network of parents and children, then Stapleton is one of the family-friendliest areas you’ll find anywhere. On summer nights, roughly 500 local kids and adults will come out to enjoy free outdoor movies together. Once the new light rail system between Stapleton and Denver is complete by 2016, this area will be an even more convenient location for moms and dads who have to commute into the city. For The Neir Team has an up-to-date listing of the top Stapleton homes for sale. Check it out today! Despite being conveniently located in the city, the Washington Park neighborhood has a distinctively clean, safe, and suburban feel to it. The tree-lined streets and the large park from which the neighborhood gets its name both contribute to overall charm of the area. The park’s recreation center, playgrounds, lakes, gardens, and trails make it a fantastic spot for parents and kids to meet up and have fun. With easy I-25 and light rail connections to the city, this neighborhood is also super convenient for moms and dads who need to work downtown but want to raise their kids in a safe suburban-like environment. 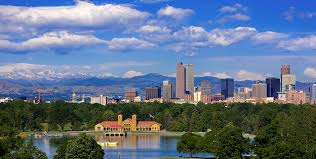 You can search through the top Washington Park Denver homes for sale right here on our site. Hilltop is an excellent choice for those in search of a family-friendly neighborhood within the city. It is centrally located and is stocked with quality educational opportunities -- including Graland Country Day School, one of the city’s renowned private schools. The neighborhood features two beautifully maintained public parks, many mature trees, and some magnificent architecture. Based on crime rates from 2009 to 2013, Hilltop is also one of the ten safest neighborhoods in Denver. Browse through our listings of homes for sale in Hilltop Denver. Stanley British Primary School, The Logan School for Creative Learning, and Denver Montclair International School all attract families to the Lowry neighborhood of Denver. Formerly home to an air force base, this area has been completely rebuilt to accommodate a wide range of demographics, especially young families. In addition to great schools, Lowry has a convenient town center, great restaurants, and much more. It’s also earned the reputation of being very dog-friendly. If you’re a young and growing family with some furry friends, this area should definitely be on your shortlist. To find homes for sale in the Denver neighborhood of Lowry, head to our property search form and select the neighborhood from the drop down menu. Stacy and Alex Neir are experts in Denver real estate. To find the perfect home and neighborhood for your family, call us at 720.280.3004 or 720.935.4399 today!